Can you pick a winner from this lot? KVR's Developer Challenge has become something of an institution in music software circles. 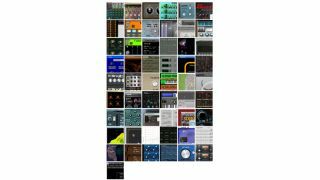 The idea is simple: developers go and create a new plug-in, application or soundware product that they're prepared to give away for free, then users of the site get the chance to download all of the entries and vote for their favourites. Of this year's entries, 49 are for Windows, seven are for Mac and six are soundware for other products. Your job is to try as many of them as you can (and perhaps donate to the prize fund, which will go to the winner) before placing up to five weighted votes. You can find out more and download all the software on the KVR Developer Challenge 2012 website.